Good morning stampers! Today I'm sharing the swap I received from my mom at Convention. Isn't it gorgeous?! 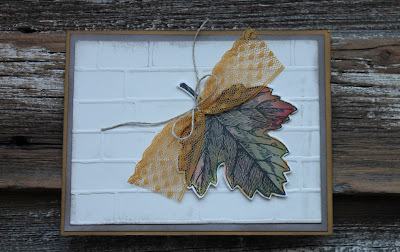 She used the new Vintage Leaves stamp set and Leaflets Framelits. Want to see something else created with this gorgeous set? 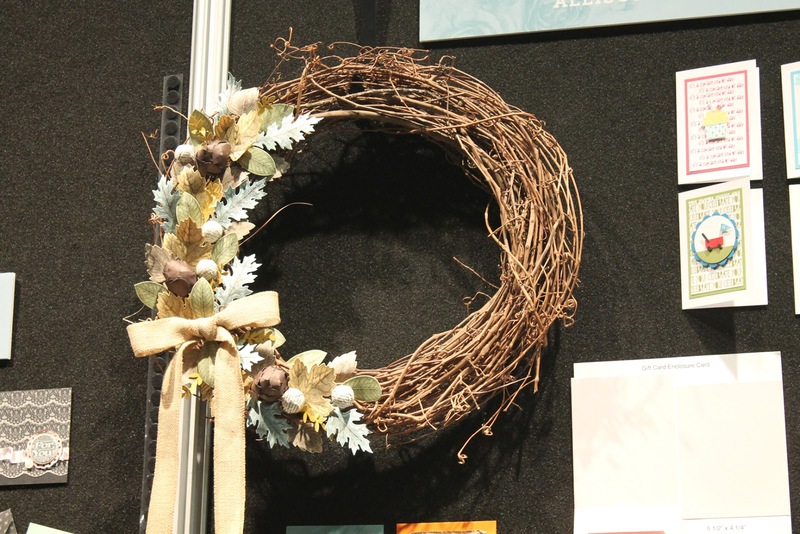 Check out this wreath created by Allison Okamitsu. This photo doesn't do this wreath a bit of justice. It is absolutely stunning in person. Allison does such nice work, so creative! She shared a fabulous demo with us at Convention. 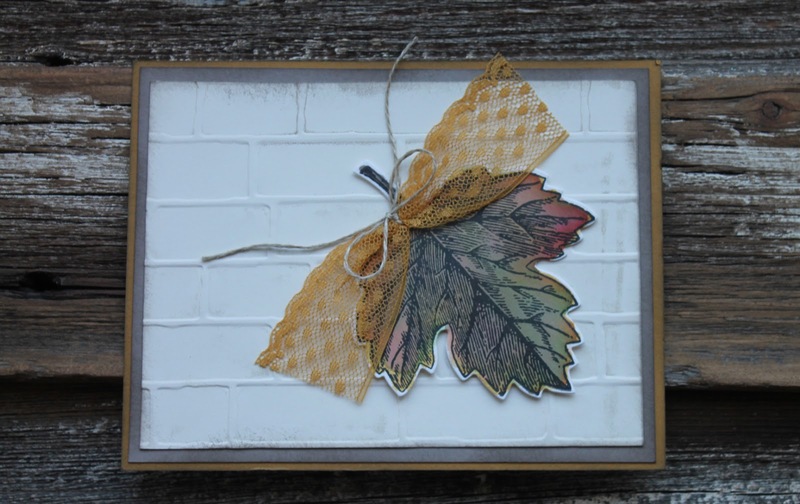 Purchase your Vintage Leaves bundle today and get a jump start on your fall creative projects!